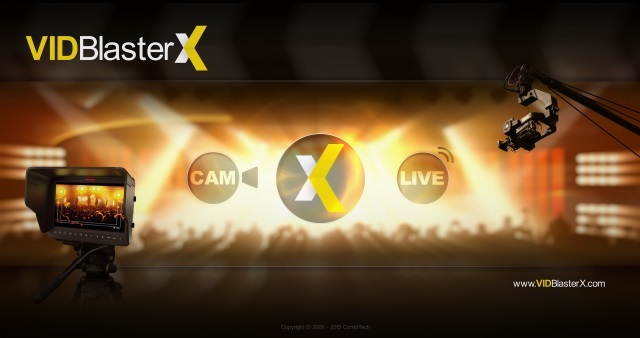 Welcome to VidBlasterX, the easy to use video production tool to create anything from a single camera recording to a live multi camera television broadcast. VidBlasterX is a versatile and powerful ultra-low latency cascading vision mixer and video router with built-in scalers, time base correctors, frame synchronisers, IP video encoders and decoders, video players, recorders, keyers, effects and much more. VidBlasterX will put live video production right at your fingertips! For offline viewing and/or printing a pdf version of this help is available.